Exclusive! Turn up the sparkle with our Brilliant Lights Earrings! 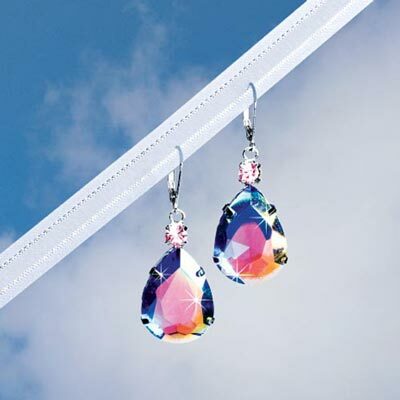 Faceted faux gems with aurora borealis finish catch the light and shimmer in a rainbow. Pink rhinestone accents. Silver-tone leverbacks, 2"l.